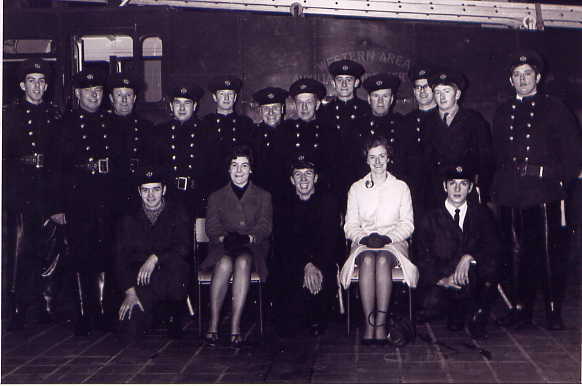 Western Area Fire Brigade Auxiliary Fire Service final parade Johnstone Fire Station 27/3/1968. Photo from Arthur Wilkins. 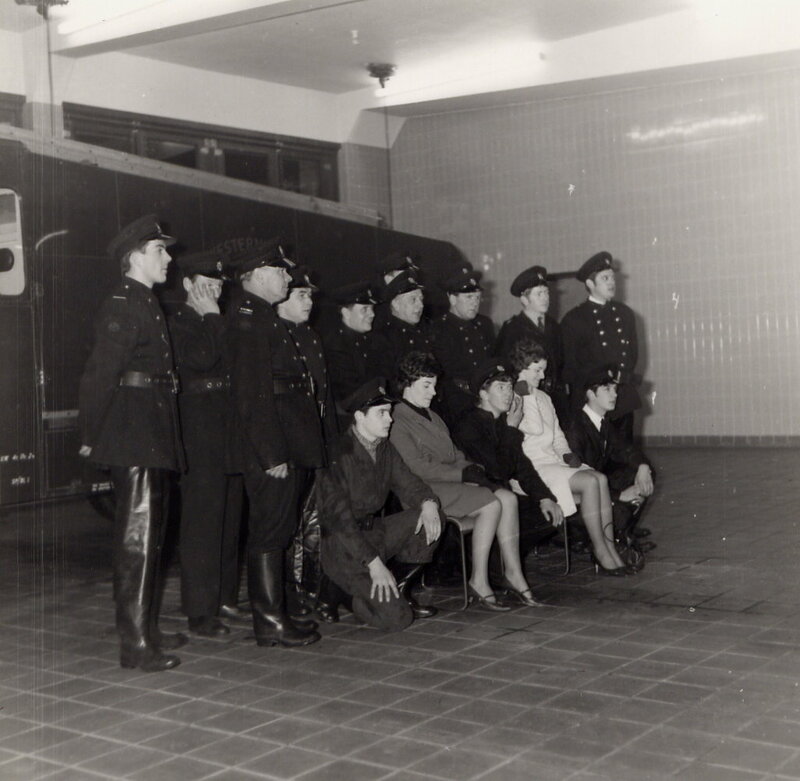 Back Row:- L/Fm Alastair Stevenson, Fm Arthur McGeown, Fm Ronald Glen, Fm Robert Wenn, Fm Graham Todd, Fm Arthur Wilkins. Middle Row:- S/O James Berry GM, Fm Jack Colvine, Fm James Flynn, Fm William McLeish, Fm ???????? ?, Fm Jack Cassidy. Front Row:- Fm Kenneth Martin, Fw Marjorie Kennedy, Fm ????????? ?, Fw Betty Nixon, Fm ??????????. 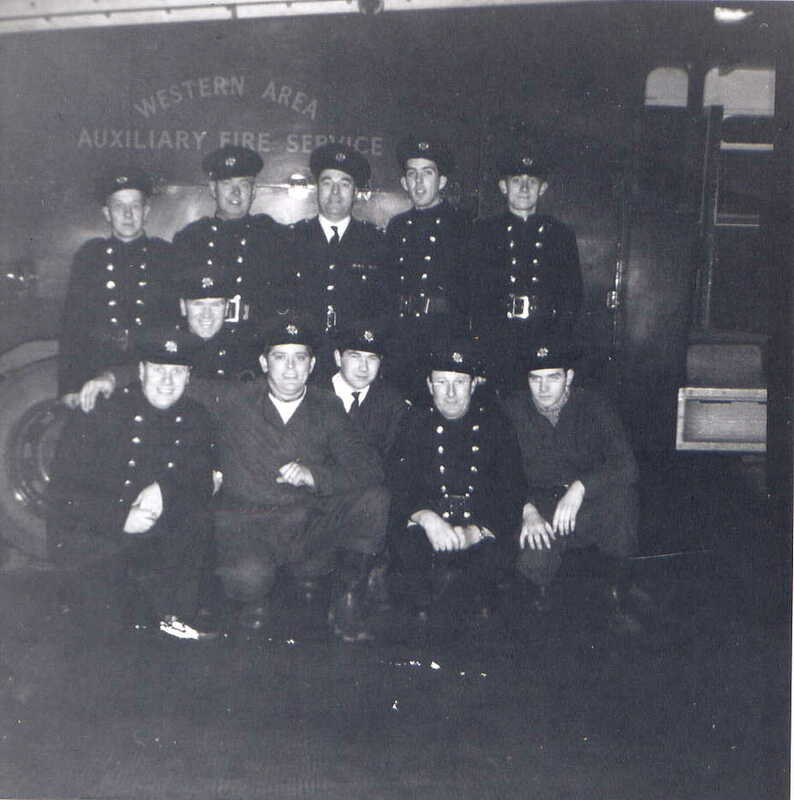 Western Area Fire Brigade Auxiliary Fire Service final parade Johnstone Fire Station 27/3/1968. Photo from Graham Todd. Standing - Fm. 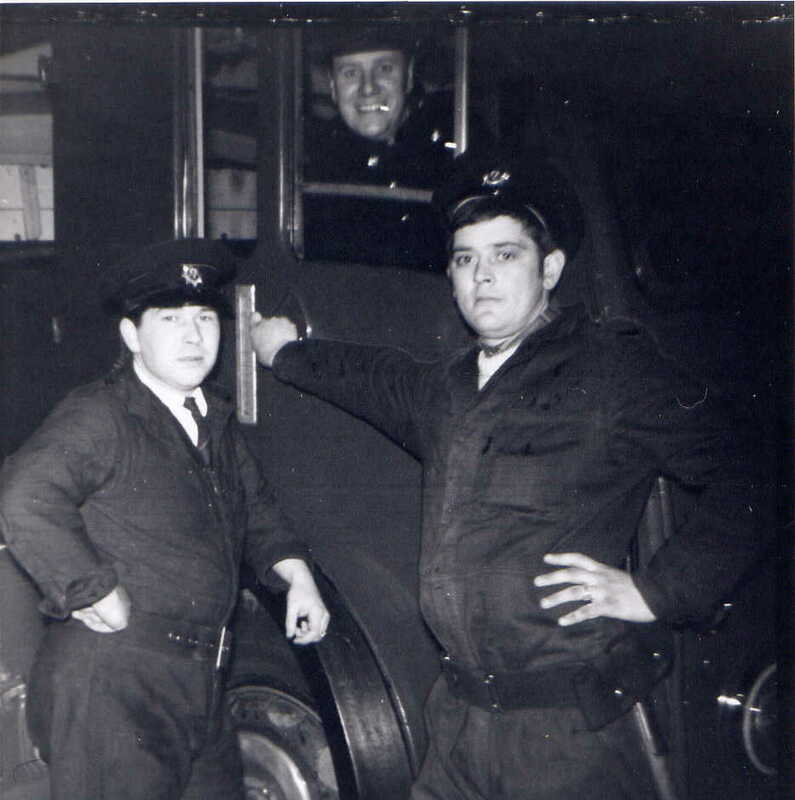 James Flynn, Sub O James Berry GM, Stn O Leonard Wilkins OIC AFS WAFB (WAFB Civil Defence Liasion Officer, HQ Thornhill, DEC1964 until shortly after AFS Disbandment) L/Fm Alastair Stevenson, Fm Graham Todd. Fm. Kenneth Martin, Fm. 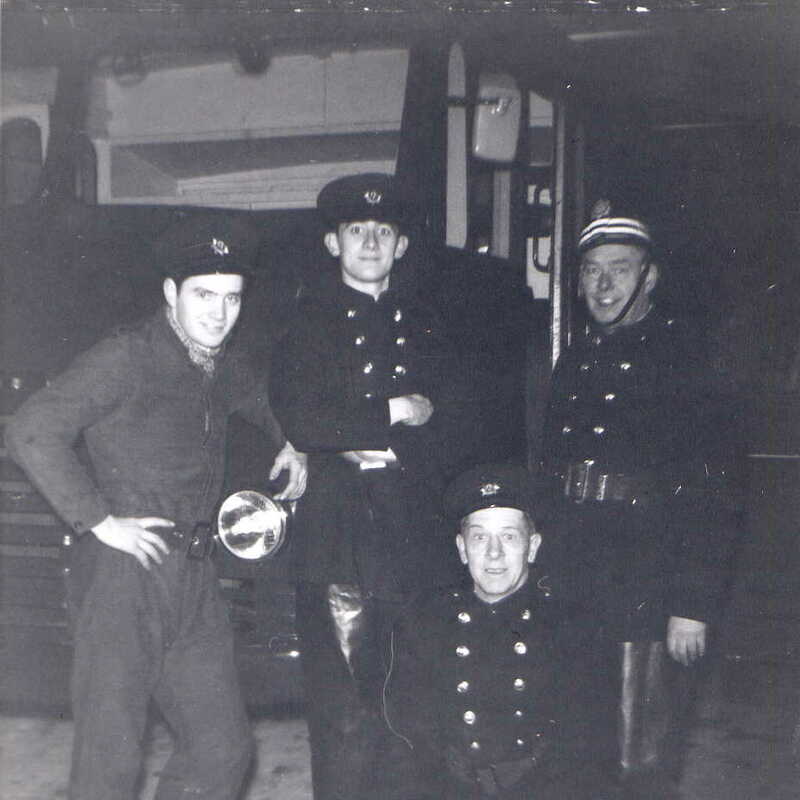 Graham Todd, Sub Officer James Berry GM, Kneeling Fm. James Flynn.